You are at:Home»Things to Do»Awesome April: Hottest Festival in Beijing, Earth Day Events, and More! Do you have an upcoming family-friendly event that you want to be included in our listings? 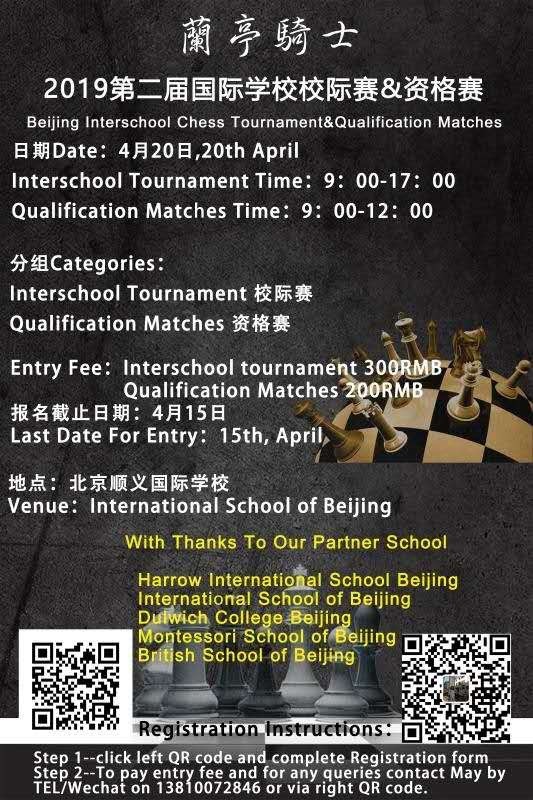 Maximize the reach of your event and promote it on beijingkids’ social platforms! The carnival of capsaicin, the jamboree of jalapeño, the party of pepper, and the terror of your taste buds that is the Beijinger Hot & Spicy Festival 2019 is returning to Galaxy Soho, on the weekend of April 20-21. China’s only spicy food festival is shaping up to be an absolute knockout, featuring a massive two-day Chili Pepper eating contest, a hot and spicy dating tree, a spicy sauce testing station, a chili roulette game for the risk-takers, two full days of floor shows and entertainment, and a pumping dance floor at night. All ages. 11am-8pm. Galaxy Soho. Shakespeare’s most popular comedy deserves its reputation, for here the “lunatic, the lover and the poet” combine with a magical world to create a perfect mix of comedy and romance. This production by the TNT Theatre Britain combines music, dance, and song with a powerful conflict that demonstrates not just the joy but also the pain and madness of love. All ages. RMB 80-380. Starts 9.30pm. Nine Theater 9个剧场. Dubbed as a “200 percent participatory musical show”, Samajam Kids Show returns to Beijing. Young audience members will join in with the performing musicians as they will receive several musical instruments during the show, helping them learn music while having fun. There will also be a live interactive video game! All ages. RMB 180-380. 10.30am-7.30pm. Beijing Tianqiao Performing Arts Center. Roundabout welcomes everyone to the 2019 Roundabout Family Day on April 20 at Cathay View Plaza. A whole day of fun is in store for families. Enjoy performances and activities, including a dance session with Yongyan Fitness Dance Center. If you’re up to getting good Easter finds, head over to the Roundabout bazaar, which features a fantastic selection of vendors selling food from around the world. For families wanting to be the forever loving home of rescued animals, there is a pet area where you can get in touch with veterinarians and pet food vendors. All ages. Free admission. 10am-3pm. Roundabout Cathay View Plaza. Elsewhere in the city, Roundabout is holding a book fair at the Beijing Chaoyang Kaiwen Academy, concurrent with their Family Day on the same date. Find your treasures from any of the 10,000 recently donated, gently used books. Paperbacks cost RMB 10, while hardbacks are RMB 20 each. There are tons of kids’ books and special books starting from RMB 1. Bring your unwanted books with you on the day to donate if you would like to help. All proceeds from Roundabout book fairs will be used to change someone’s life. All ages. Free admission. 10am-3.30pm. Beijing Chaoyang Kaiwen Academy. The International School of Beijing’s We for She Club will be hosting the first Beijing High School Clothing Swap to celebrate Fashion Revolution Week. From 11 am to 1 pm, high school students from any Beijing high school may drop off their clothes at ISB’s Gym 3 and receive vouchers for the number of clothing items they bring. Clothing items include clothes, shoes, accessories, outerwear. From 1 to 4 pm, students can try on clothes and swap for “new” items. Come and get some “new” clothes, make friends, and support a great cause! All leftover items will be collected at 4 pm by Roundabout. Ages 12+. Free admission. 11am-4pm. ISB Gym 3. It’s a party of epic proportions! All plus-size ladies in Beijing are invited to this eco-fashion swap day, a fun-filled event that brings everything that plus-size women need under one roof. Go there to clear out or spice up your closet! Everyone is invited to the party, but attendees who wish to join the swap are asked to bring gently used plus-size clothing and accessories, bags and shoes, and other items. Note that ladies shoes range from 42-44 (US 10-12). Adults. 1.30-6pm. 16 South Liangmahe Road, Chaoyang District. Contact Sammy Sibanda at 15101517496 for more information.